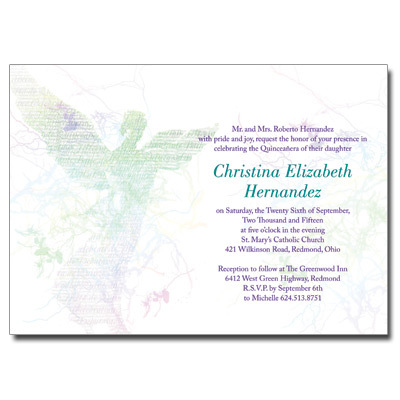 This modern Quinceanera invitation is elegant and abstract. An angel image shows through words that describe the event in your young woman's life. The roots of the family and the spreading of wings personify the celebration of the day. The personalized text and image is made up of purples, blues and greens. Card measures 7x5.